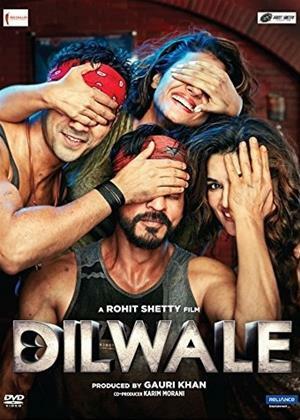 Shah Rukh Khan, Kriti Sanon, Kajol et al. Rohit Shetty's 'Dilwale' is the story of the undying love Raj (Shah Rukh Khan) and Meera (Kajol) have for each other. Set in a tumultuous environment, Raj and Meera deal with the conflict between their respective families and the repercussions of merciless violence between them. But not all love stories are destined to have happy endings. Simultaneously, Veer (Varun Dhawan) and Ishita (Kriti Sanon) meet and fall in love. The twist is that Veer is Raj's brother and Ishita is Meera's sister. This sets it up for their worlds to collide yet again.